Lentils are a healthy and budget-friendly alternative to meat. They are the perfect mince substitute in this tasty vegetarian cannelloni. Preheat oven to 200°C/180°C fan-forced. Grease a 18cm x 29cm (base), 6 cup-capacity ovenproof dish. Heat oil in a saucepan over medium-low heat. Add onion, celery and carrot. Cook, stirring occasionally, for 6 to 8 minutes or until vegetables have softened. Add garlic. Cook, stirring, for 1 minute. Add tomato and lentils. Cook, stirring occasionally, for 5 minutes or until sauce has thickened. Remove from heat. Cut lasagne sheets in half crossways. Place 1/4 cup lentil mixture along 1 edge of each piece. Top with 11/2 tablespoons ricotta. Roll up to enclose filling. Repeat with remaining lasagne sheets, lentil mixture and ricotta. Spread 1/3 cup pasta sauce over base of prepared dish. Arrange cannelloni, seam-side down, on sauce. Top with remaining sauce and ricotta. Sprinkle with parmesan. 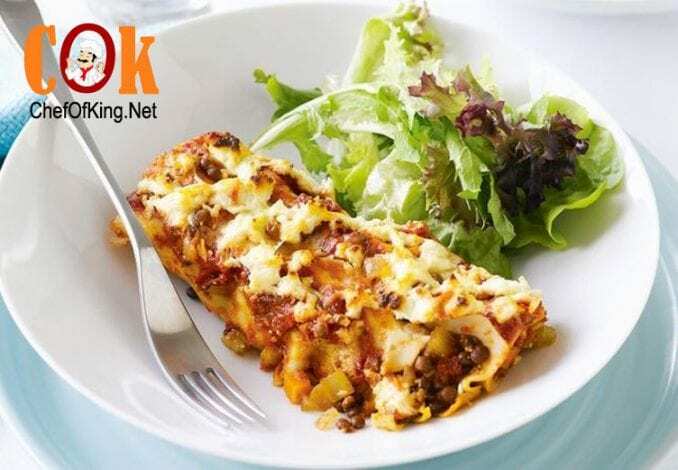 Bake for 30 to 35 minutes or until cannelloni is tender and cheese golden and melted. Serve with salad leaves.